Gucci, an Italian famous brand, represents style and elegance. Gucci’s well-designed and best quality coats are known for their classic and luxurious designs. Many people wearing Gucci coats in the fashion world are under impression that they own an authentic Gucci product, but are actually wearing a replica. Many unauthentic companies in the market take advantage of the name of this high-end fashion brand and earn dollars in upper hundreds. These counterfeits make more or less exact copies of the original Gucci coats and trick the quality conscious customers into buying them. There is no need to jump into the so-called Gucci coat without proper examination, as the counterfeits cannot fully replicate Gucci’s products. You can study few signatures of Gucci coat that make them stand out from hundred of replicas. Make a mind set to pay hundred dollars for an authentic Gucci coat before you pull out your wallet. Authentic Gucci coats range in price from $785 to more than $3100. Fake Gucci coats will often have rock bottom or low prices to attract customers. If the Gucci coat under consideration has a special offer for their customers, you can simply compare it with the offering on Gucci’s official website. If you find both of the offerings similar, then your problem is automatically solved otherwise dump the coat there and then. Now, study the logo and label on the coat. Make sure to take you time and thoroughly study both of them from all angles. Read out the spelling of the logo and look for the discrepancies with both the logo and label. Most of the unauthentic Gucci coats use labels and logos that are slightly off as compared to original ones. The counterfeits use this trick to avoid the copyright laws. The best possible way to avoid fake Gucci coat is to buy the coat from an authorized and famous Gucci dealers only. You can get the details of the authentic Gucci stores from their website. Touch the material of the coat and try to feel it. 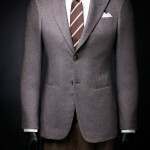 Gucci never compromise on the quality of the fabric of their coats and often use expensive material. If the material of the coat feels like any other common material, then chances are good that you are dealing with a fake Gucci coat.